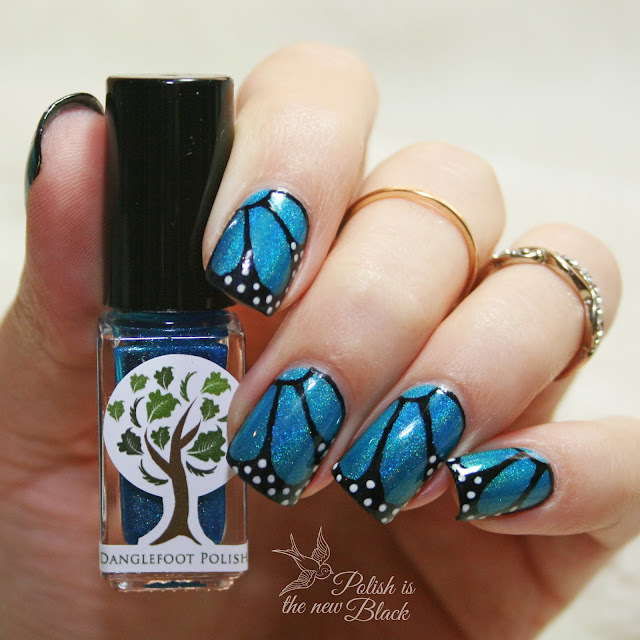 So after swatching the Sugar & Spice collection by Danglefoot Nail Polish I thought the blue of the collection 'I have nothing to wear' would be perfect for the base of a butterfly mani. 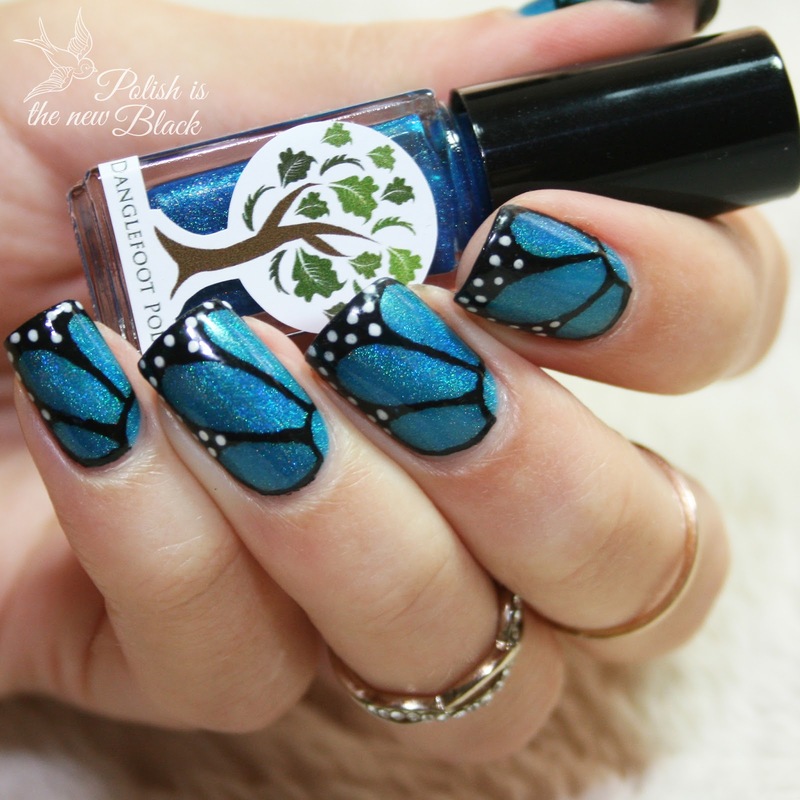 I've done this design a few times now; the last time was for Thyroid Disease Awareness month back in January and was my second ever blog post! You can find that post HERE. This time I decided I would do a tutorial for you all so you can see how to create this design. 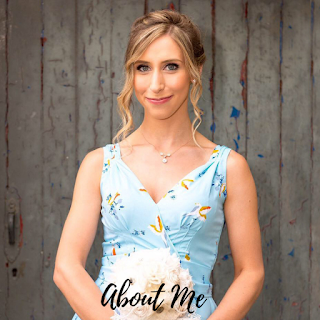 Danglefoot Nail Polish: I have nothing to wear £3.50 mini £6.50 full size from Danglefoot Nail polish (note this is sold out currently but Hayley is planning a restock). 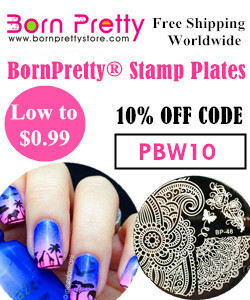 Barry M Black Nail Art pen £4.99 from Boots or Superdrug. Barry M White Nail Art pen £4.99 from Boots or Superdrug. 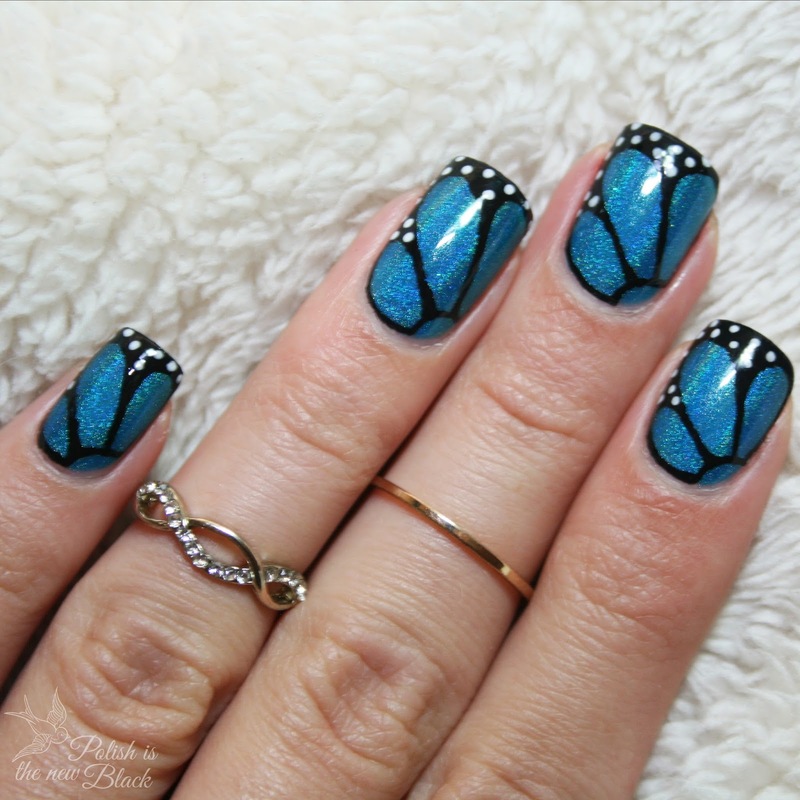 The Barry M nail art pens are my go to product for butterfly nails! I find you have better control than using a brush. Start with your chosen base polish; Here I'm wearing 'I have nothing to wear' I find holographic polishes really nice for this type of design. Let your base dry fully! I added the Insta-dri top coat and left it for a while (this is really important as if you draw on your base too soon you will drag the base colour). 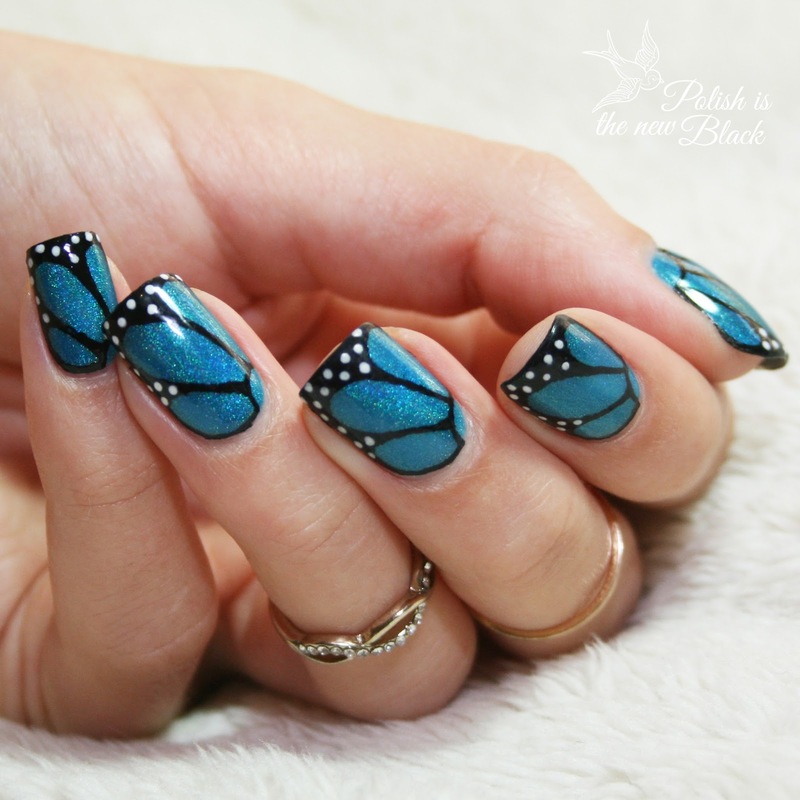 Using the black nail art pen draw an arch on the inside of your nail (the side closest to your thumb - this will be opposite on your other hand). 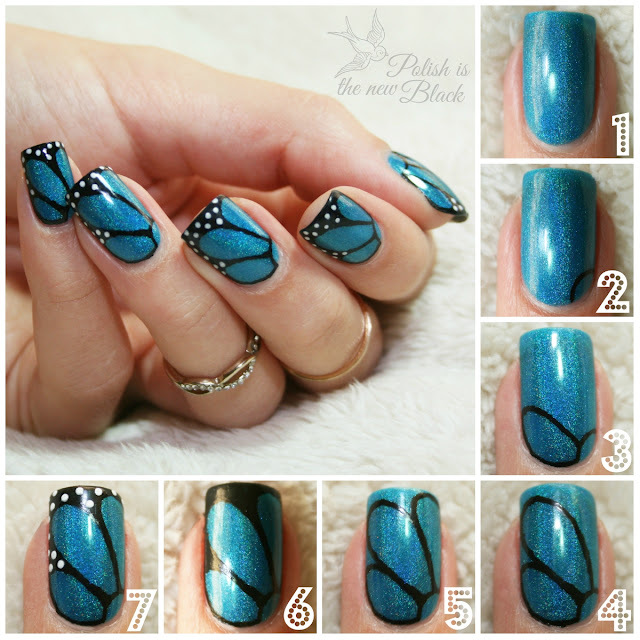 Starting from the arch you have just drawn draw around your nail parallel to your cuticle and along the side of your nail, continuing back to your first arch so you have created a loop. Starting fromwhere you left off you want to create a bigger loop but be careful not to go to the edge of yornail (you want to leave a gap as this will be filled in later). Create another loop starting from where the last ended. Again dont go to the very edge of the nail. Fill in the space around the loops with the black pen. 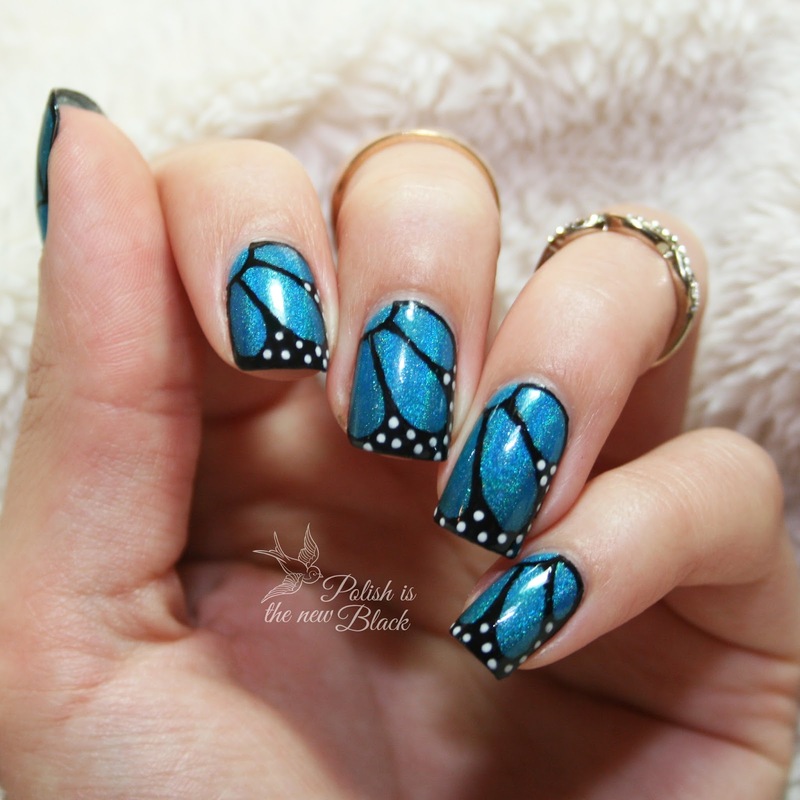 Using the white nail art pen create random dots in the open space. Finally add a top coat. Much easier than it looks! I hope the tutorial is helpful for you all! As usual I've taken way too many pictures! Hope you guys like these and the tutorial is helpful. Let me know your thoughts! 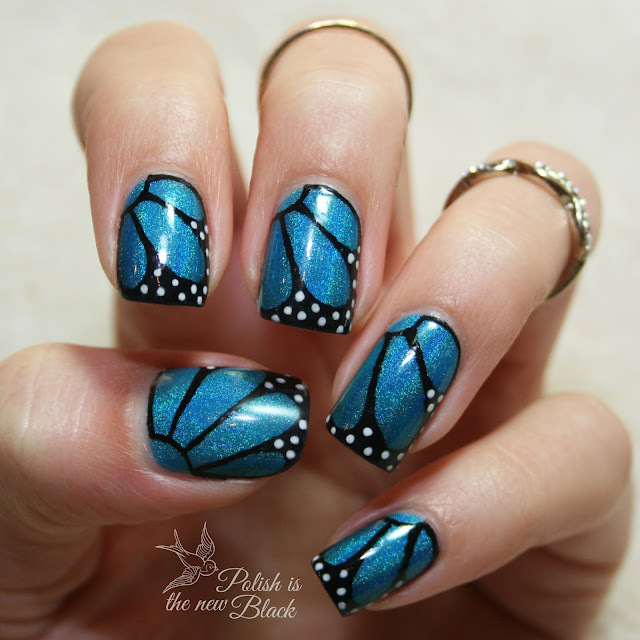 Gorgeous design, butterfly nails are such a classic!